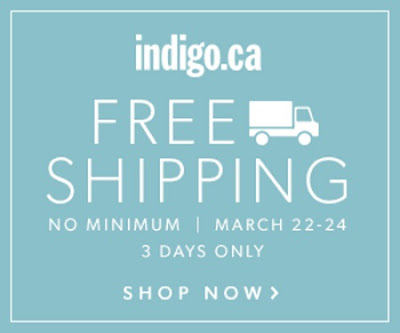 Chapters Indigo is offering Free Shipping on any sized order with no minimum! Offer is valid for three days only, March 22-24 2016. No promo code is required.